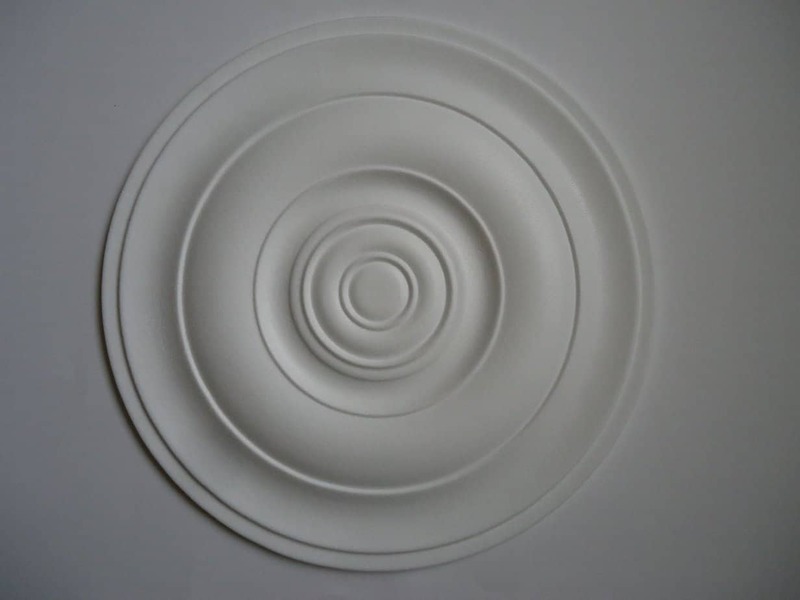 Plain and simple ceiling rose that is lightweight and easy to put up using adhesive. 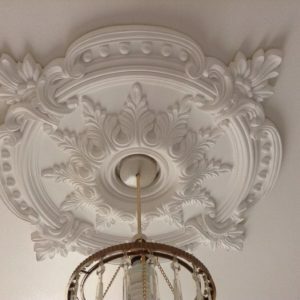 Make a whole for the cord to meet your requirement using e.g. a screwdriver. 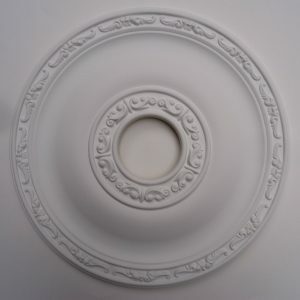 Paint the ceiling rose using your choice of matt paint – we recommend 2 – 3 coats for a plaster look.